CNN Football Club: Albert Ferrer answers your questions! 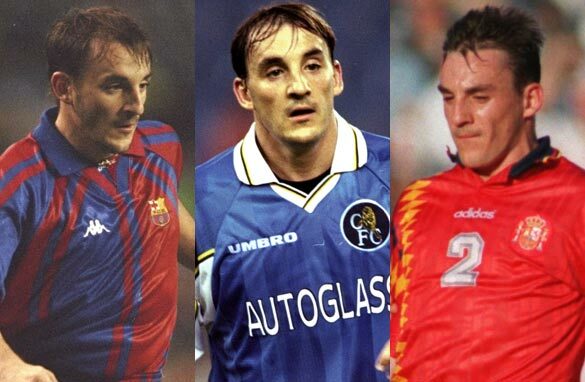 Albert Ferrer played for Spain, Barcelona and Chelsea. (Getty Images). After taking to the pitch for both Spain and Barcelona, Albert Ferrer knows about performing under pressure. But how did the former full back fare when he made his debut for the CNN Football Club? As the right back in Johan Cruyff’s Barcelona team which won the club’s first ever European Cup in 1992, Ferrer was well-placed to answer the week's poll question. We asked you, is Barcelona's defense too weak to win the Champions League? Ferrer, who spent five years with 2012 European champions Chelsea, also faced your questions as CNN FC put him On the Spot - see his answers below. yesterday we had a good game, but in my opinion Barcelona will not win the Champions League. Bayer is the best time right now and his game is more agreeable. thank you very much!